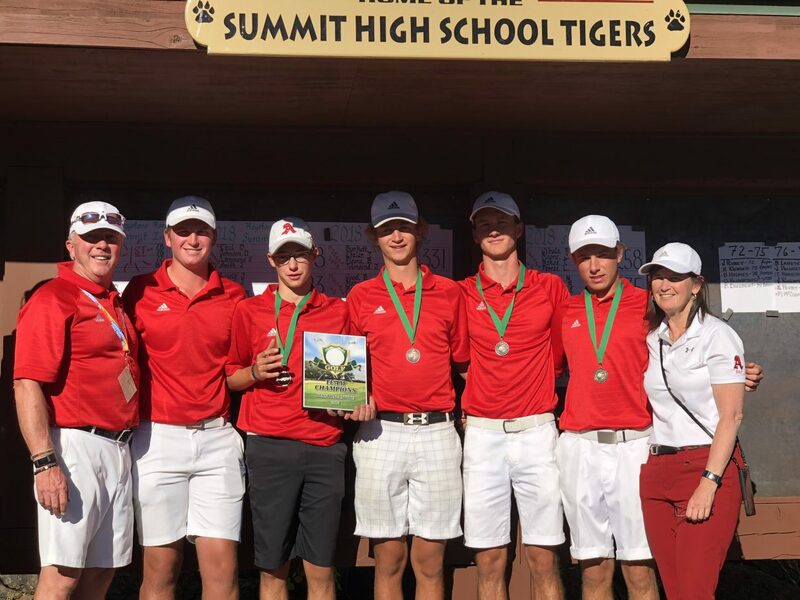 The Aspen High School boys golf team won Thursday's tournament at Keystone Ranch. The Aspen High School boys golf team won Thursday’s tournament at Keystone Ranch, their final regular-season competition before regionals on Monday. The Skiers shot 226 to hold off Basalt High School by three strokes. AHS junior Jack Pevny was the low medalist, shooting even par 72 for the win. BHS senior Holden Kleager finished second, only a shot back. Both teams next head to the regional tournament on Monday at Dos Rios Golf Club in Gunnison. The state tournament is Oct 1 and 2 in Boulder. The Aspen High School boys tennis team won 6-1 Thursday at Fruita. The Skiers’ only loss came at No. 3 singles. Alex Ilic rolled at No. 1 singles (6-1, 6-2) and Christian Kelly at No. 2 singles (6-3, 6-1). Liam Sunkel and George Ghali led a 4-0 effort by the doubles teams, winning 6-4, 4-6 (10-6) at No. 1 doubles. The Skiers are scheduled to play Saturday at Dawson. The Basalt High School boys soccer team allowed a second-half goal Thursday to fall 1-0 at home against Grand Junction. The Longhorns, now 1-5 overall, play Saturday against Moffat County. The Aspen High School boys soccer team lost 2-0 Thursday at Delta. The Skiers are scheduled to host Roaring Fork at 11 a.m. on Saturday.The Rams (5-0-1) are ranked No. 4 in Class 3A. They are scheduled to play Colorado Rocky Mountain School on Friday.